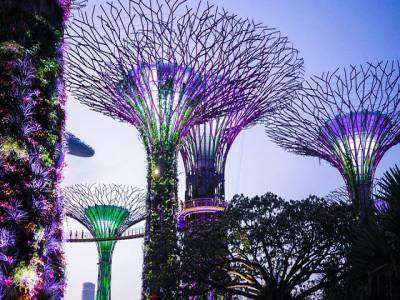 The Supertree Grove in Singapore is something that would blow away tourists, travelers and any onlooker for that matter; such is its enthralling beauty and charm. They are just spectacular and that too is a mere understatement. 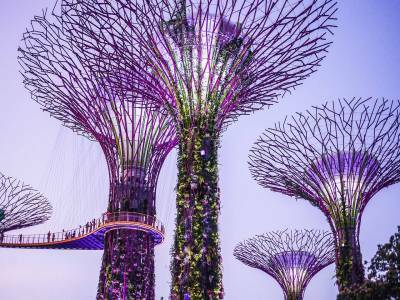 The Supertree Grove at Gardens by the Bay has indeed gone on to become one of the most stupendous and awe-inspiring attractions in Singapore. Not only that they are amazingly beautiful but they also serve some interesting functions. 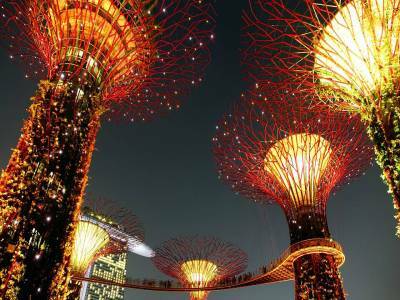 A harmonious blend of technology and nature, there are a total of 18 Supertrees in the Garden of Bay with 12 there at the Supertree Groove. These Supertrees are all spaced perfectly. Each supertree has four main components viz. - the trunk, the reinforcement concrete core, a canopy and the planting panels. Designed to be exactly like trees, their functioning too is on the same lines. While some are endowed with solar panels for storing energy for the nightly light show, others are used as air exhaust receptacles for cooling the Cloud Forest and Flower Dome conservatories. That apart, all of them collects rainwater for use in fountain displays and irrigation purpose. These trees also perform normal and regular functions of trees such as cooling the air, photosynthesis, storing rainwater, etc. 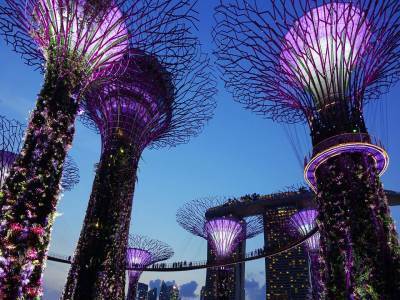 These Supertrees come really and truly alive once the day ends and it becomes night for it is when the Garden Rhapsody light show takes place. Now, this is a heavily popular show and as a traveller no one should miss even a moment of it. 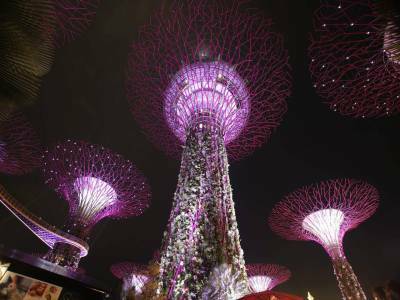 Get quick answers from travelers who visit to Supertree Grove.